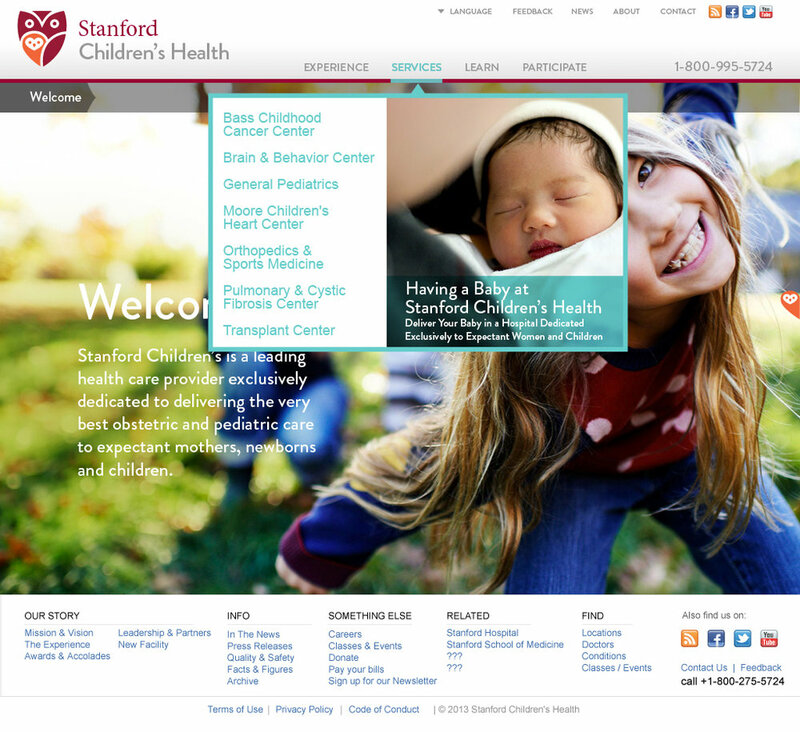 Dedicated to providing the finest pediatric and obstetric care, Stanford Health is renowned all over the the world. 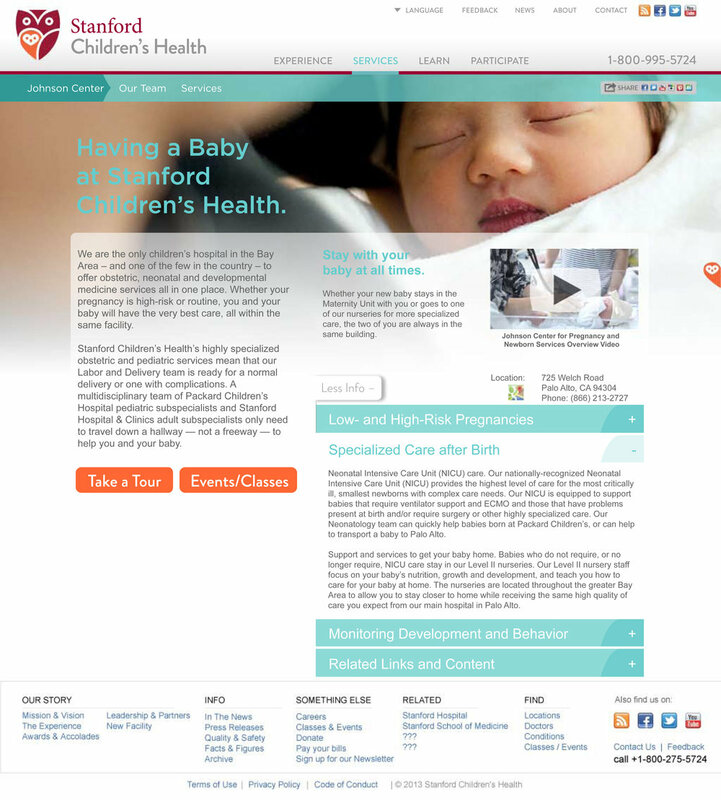 Because their website visitors are trying to cope with life-changing bad news, their website needed to be uniquely streamlined and optimized, so visitors could quickly and easily access the information most relevant to them, so they could move from concerned to confident. To achieve this goal, we developed several personas matching the needs of each type of site visitor. Using what we learned, we created a powerful site to help referring doctors and patients’ family members navigate through their experience at the hospital. 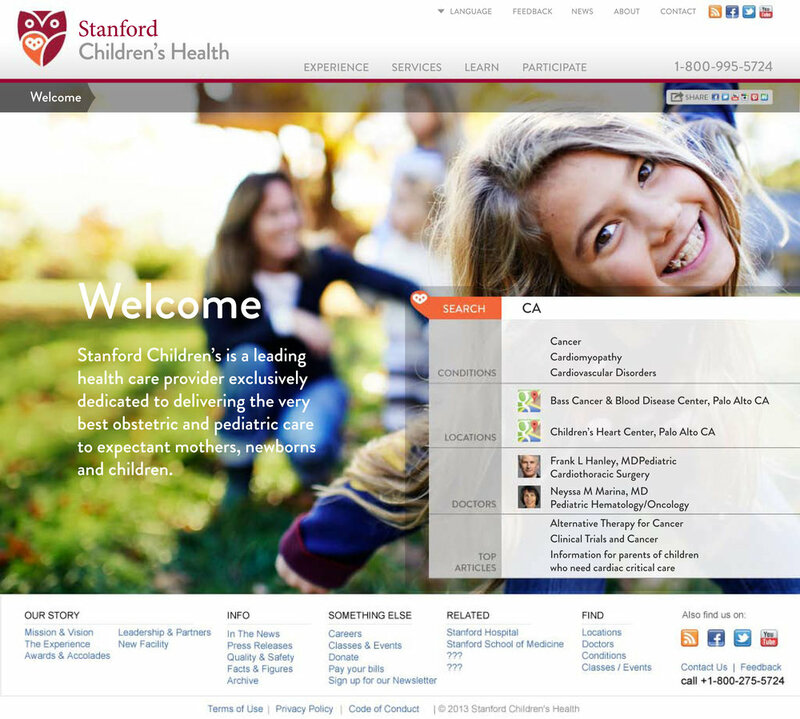 It also provides access to a vast library of health information to help educate families about the illness their loved one is facing. 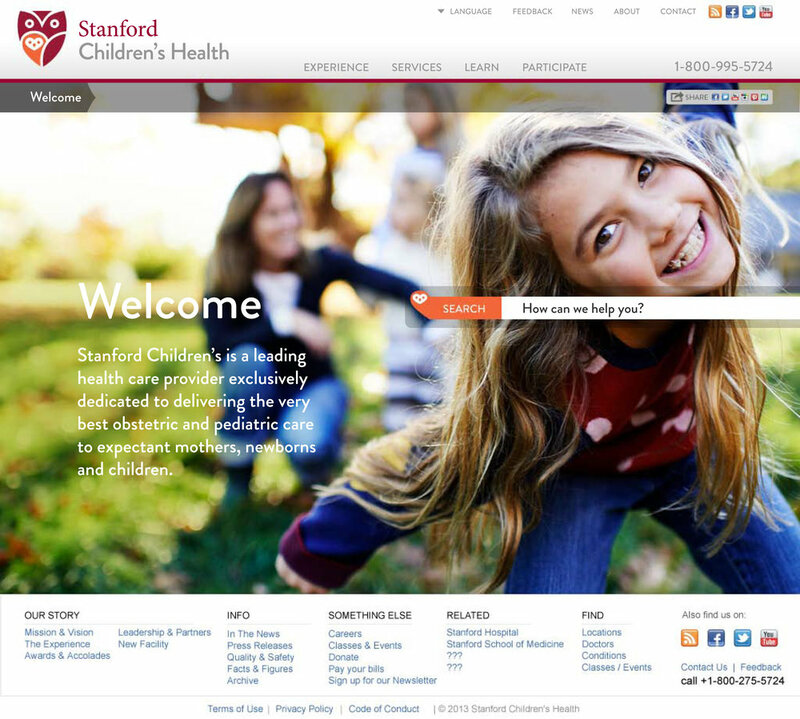 The new responsive site works beautifully on all platforms, offering a custom user experience and a site taxonomy that powers a predictive text search tool, so visitors simply enter a diagnosis or topic and get curated, relevant results—everything from conditions, locations, specialists, and top articles. It’s a powerful tool families can use as they mount their fight against their loved ones’ health challenges.